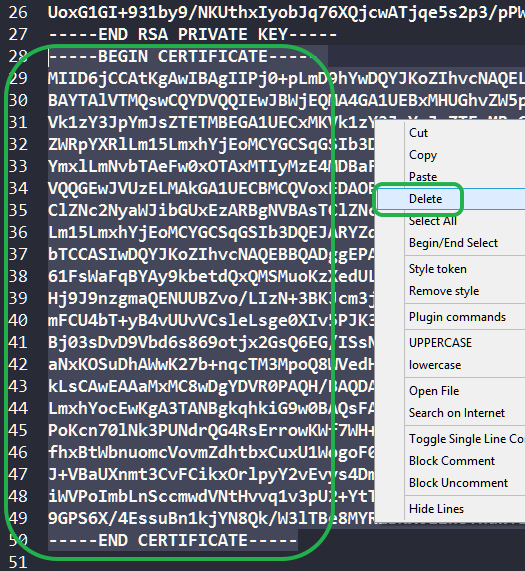 Think if it as KeePass for Certificates vs standing up a windows server VM as a CA for lab use. 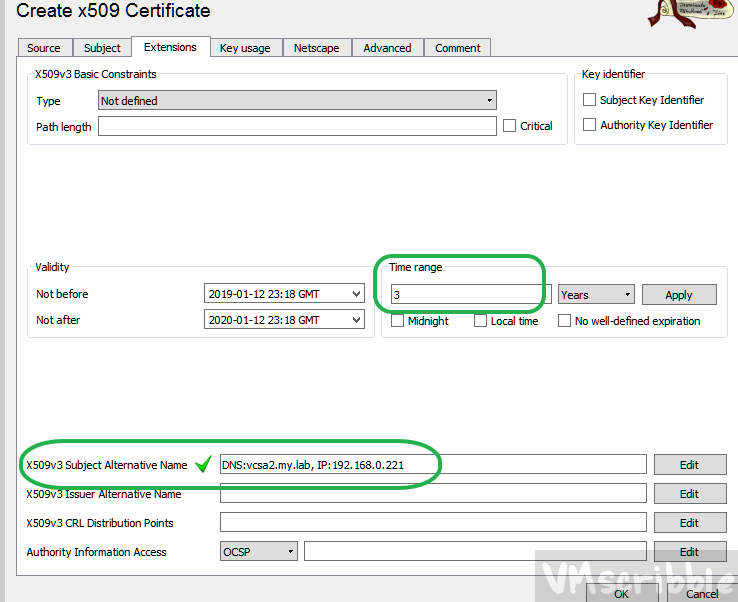 https://www.wojcieh.net/replace-vmware-esxi-6-ssl-certificate/ lists the process for ESXi, but generates CSR and needs a Microsoft Certificate. This process all done in XCA. File / New Database / create the database file and master password. Click on the Certificate tab. Click on the New Certificate button. Choose the [default] CA template and click apply all. Internal name and common name – root.my.lab The rest of the boxes are subjective. Click “Generate a new key”. The defaults are fine. Click the Extensions tab. 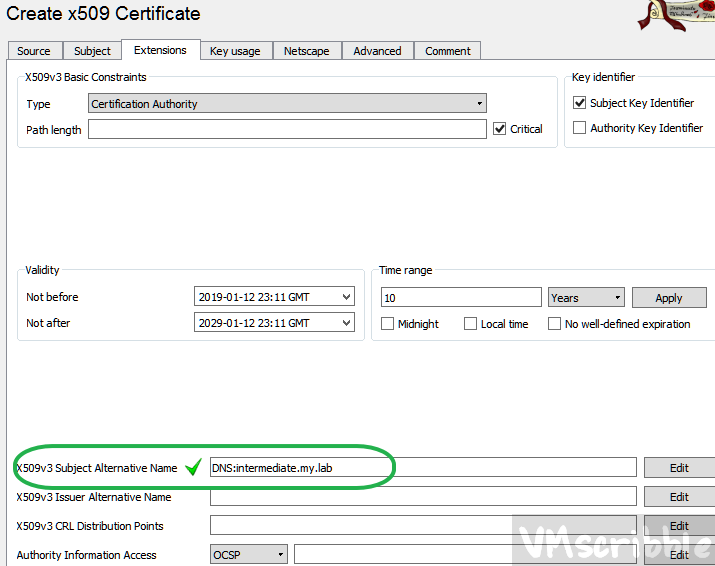 For the x509v3 Subject Alternative Name use DNS:root.my.lab You can add a common and add IP: if desired. 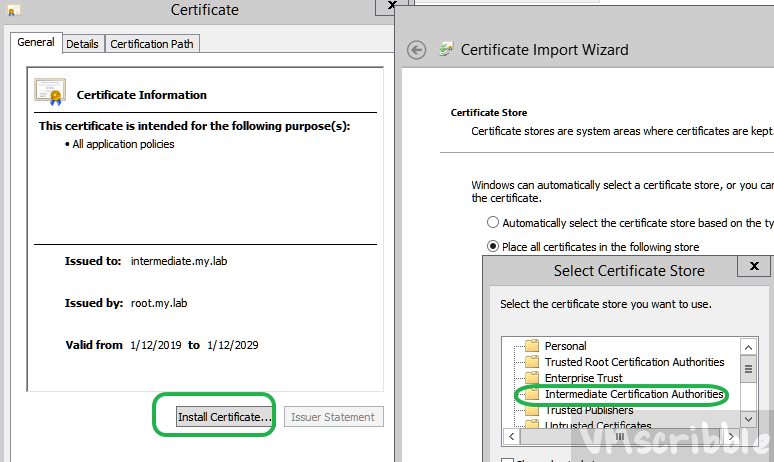 Click OK.
Click on the root.my.lab cert and then click the new certificate button. Choose the root.my.lab as the “use this certificate for signing. Choose the [default] CA template and click apply all. The rest of the boxes are subjective. Click the Extensions tab. 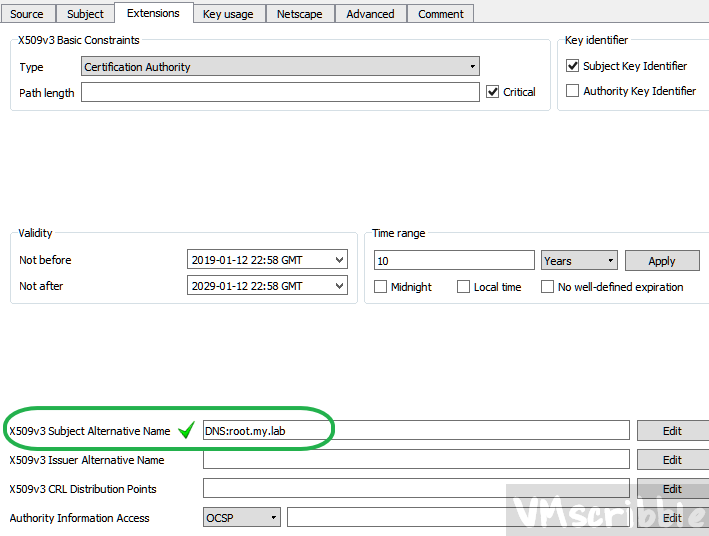 For the x509v3 Subject Alternative Name use DNS:intermediate.my.lab You can add a common and add IP: if desired. 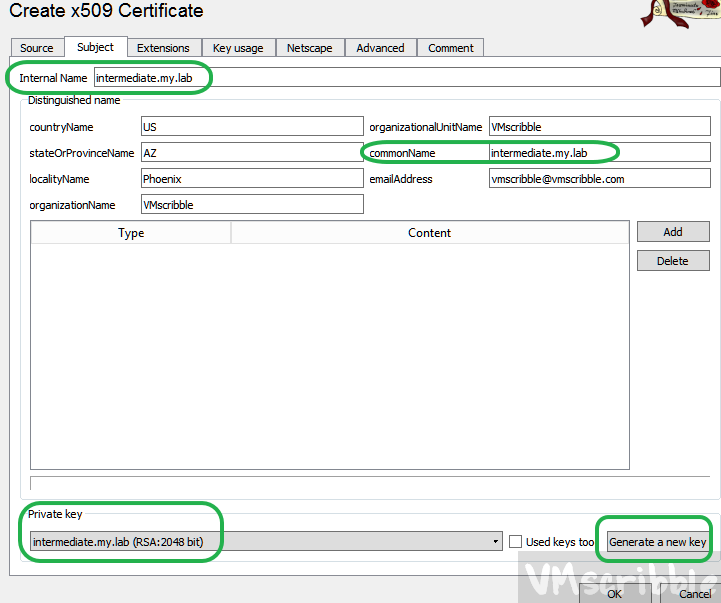 Click on the intermediate.my.lab cert and click new certificate. intermediate.my.lab should already by picked for “use this certificate for signing”. the Empty template is fine. Click the Key Usage tab. Select Digital Signature, Non Repudiation, Key Encipherment (left click on each one). 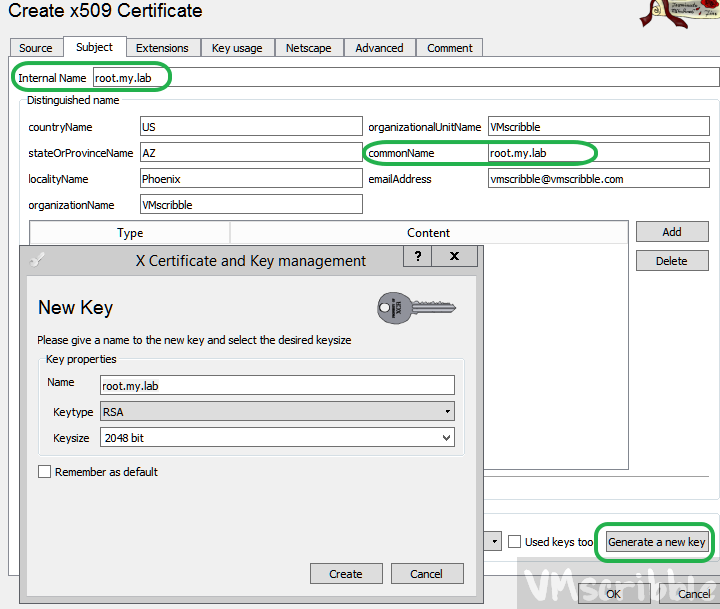 Check off “critical” under X509 Key Usage. 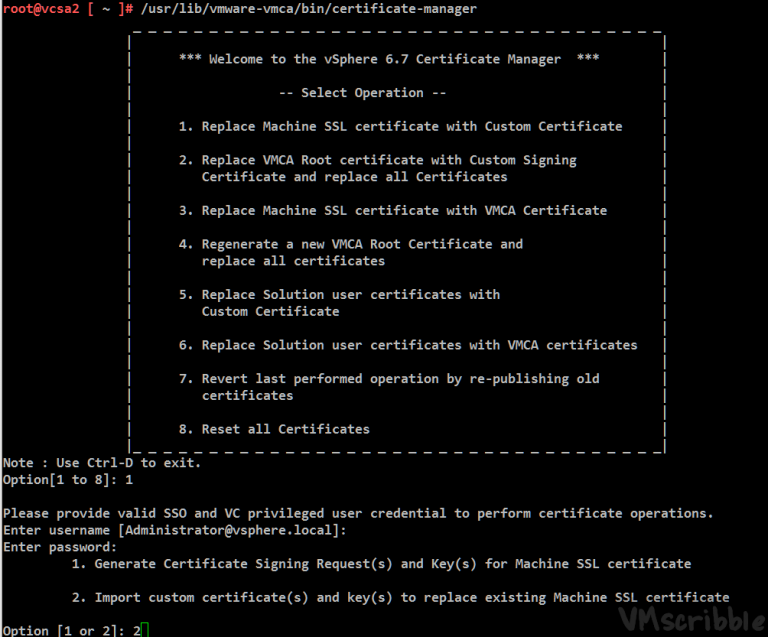 Click on the vcsa2.my.lab cert. Click export. Name the file machine.crt and choose PEM (*.crt). You can open the machine.crt in notepad++ and with windows explorer to validate the —–BEGIN CERTIFICATE—– text. Choose PEM + key (*.pem). 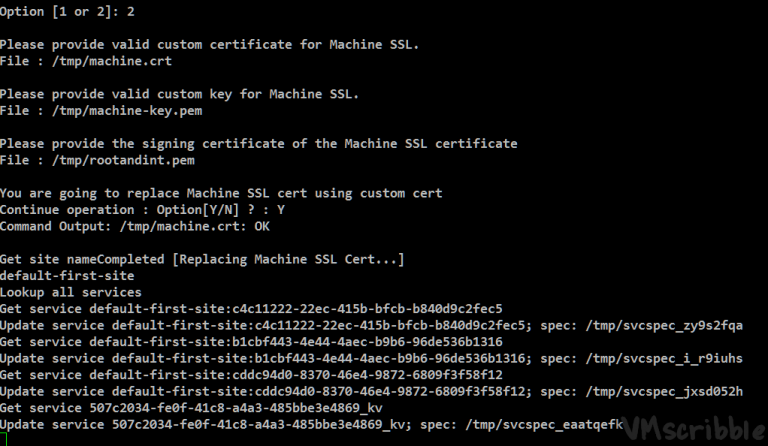 Open machine-key.pem with notepad++ and REMOVE line —–BEGIN CERTIFICATE—– and all lines underneath. 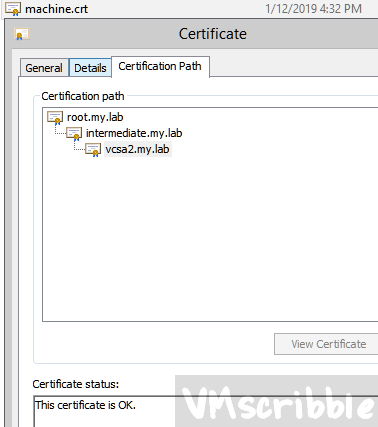 Click on the root.my.lab cert. Click export. Click on the intermediate.my.lab cert. Click export. On the machine that will access the VCSA website. 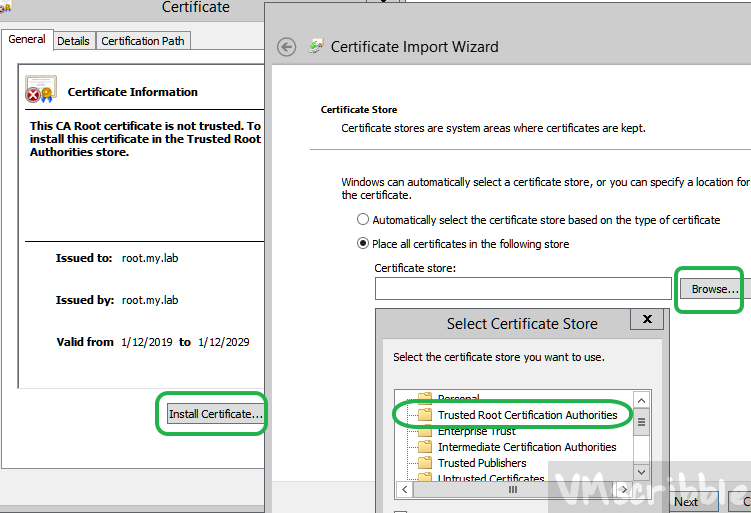 In windows explorer, open root.my.lab.crt Click install certificate. Choose the trusted root folder. Click OK to the warning popup. 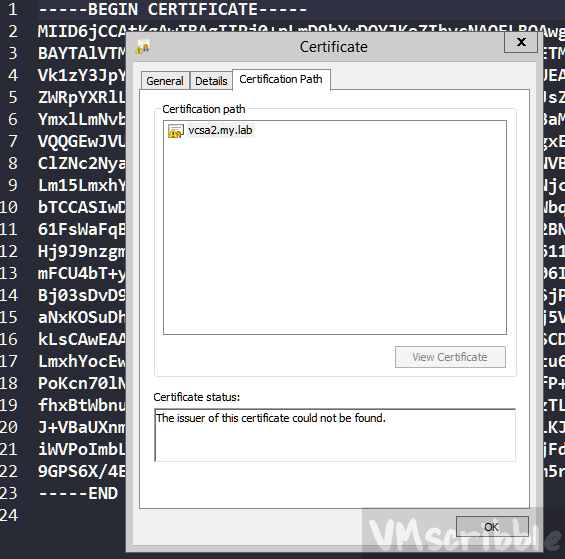 In windows explorer, open intermediate.my.lab.crt Click install certificate. Choose the Intermediate folder. In windows explorer, open machine.crt and it should list the 3 certs in the path (how the web browser will see it). Disable ssh and shell via the VAMI. Validate the URL. You may need to open in incognito mode.